The Model X was delayed on numerous occasions before debuting in the fall, about two years after Tesla said production of the electric crossover would begin. 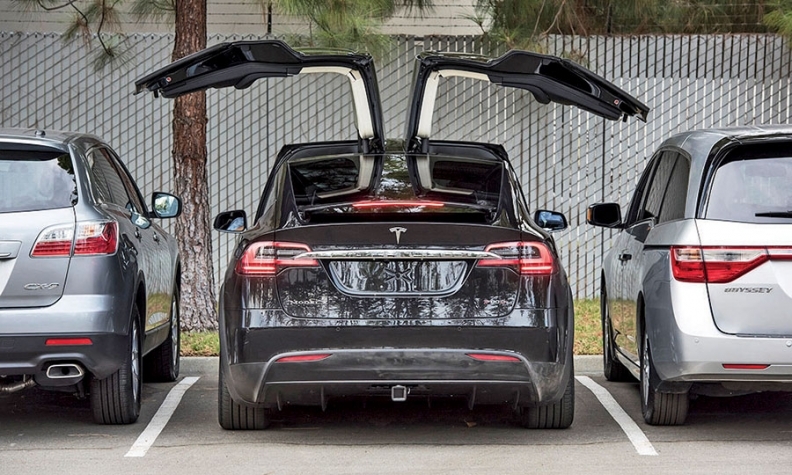 Tesla Motors Inc. sued a German parts supplier Tuesday for misrepresenting its ability to design and build the signature falcon-wing doors on its long-delayed Model X crossover. The lawsuit claims Hoerbiger Automotive Comfort Systems was unable to engineer and produce doors for the Model X to Tesla’s standards, as it claimed it could do. Hoerbiger, a German producer of hydraulic systems for trunk lids, liftgates, convertible tops and other automotive parts, won the right to produce the vertically sliding doors in February 2014. Tesla alleges Hoerbiger could not come up with a satisfactory door between then and May 2015, when that automaker severed ties with the German company and brought on a new supplier. Tesla’s lawsuit claims that Hoerbiger’s design prototypes were riddled with problems, including overheating and oil leaks. The automaker says in the lawsuit that the doors “sagged beyond Tesla’s specified tolerance levels” and “did not open with the speed or symmetry” that it requested. Tesla wants to prevent Hoerbiger from seeking more payments and asked the U.S. District Court of Northern California to rule on whether it has broken its contracts with the supplier. Hoerbiger is seeking more compensation from Tesla beyond the $3 million it has already been paid, the lawsuit says. The EV maker is also asking for payments to cover damages “in an amount to be determined at trial,” covering punitive damages and other costs and fees. Tesla said in the lawsuit that it “incurred millions of dollars in damages,” including costs to retool for the Model X, and “premium payments” to a new supplier, which it did not identify. A spokeswoman for Hoerbiger declined to comment. The lawsuit was first reported by The Wall Street Journal.